The national touring production of William Finn and James Lapine's Falsettos has found its tight-knit family. 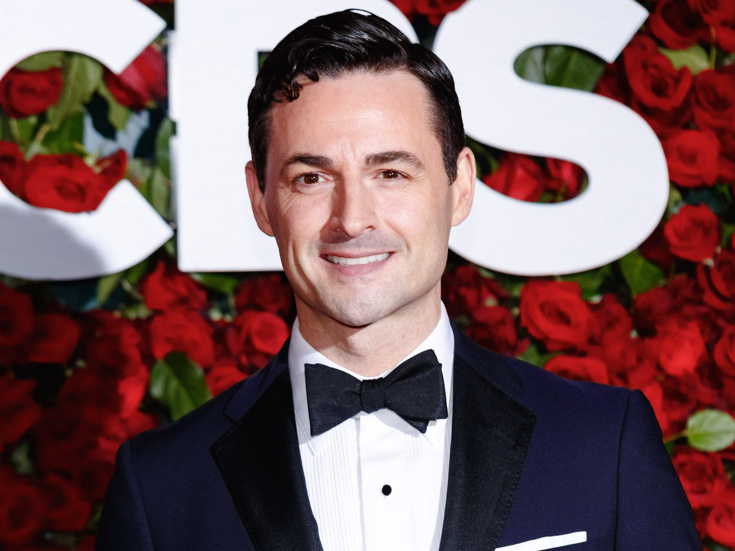 Leading the company will be Tony nominee Max von Essen (Anastasia) as Marvin, Nick Adams (Priscilla Queen of the Desert) as Whizzer and Eden Espinosa (Wicked) as Trina. The previously announced tour will feature the direction of the show's co-book writer Lapine, who helmed the 2017 Tony-nominated and Broadway.com Audience Choice Award-winning revival. The tour will begin at the Walton Arts Center in Fayetteville, AR (February 8-9, 2019) followed by an official opening engagement at the Golden Gate Theater in San Francisco, CA from March 19 through April 14. Joining von Essen, Adams and Espinosa will be Nick Blaemire (Tick, Tick...BOOM!) as Mendel, Audrey Cardwell (Bright Star) as Cordelia and Bryonha Marie Parham (Prince of Broadway) as Dr. Charlotte, with an ensemble including Josh Canfield, Melanie Evans, Megan Loughran and Darick Pead. Casting for the role of Jason will be announced soon. Falsettos revolves around the life of a charming, intelligent, neurotic gay man named Marvin (von Essen), his wife (Espinosa), lover (Adams), about-to-be-Bar-Mitzvahed son, their psychiatrist (Blaemire) and the lesbians next door (Cardwell and Parham). This production opened at Broadway's Walter Kerr Theatre on October 27, 2016, directed by Lapine. The show starred Christian Borle, Andrew Rannells, Stephanie J. Block and Brandon Uranowitz as Marvin, Whizzer, Trina and Mendel, respectively. The cast also featured Tracie Thoms as Dr. Charlotte, Betsy Wolfe as Cordelia and Anthony Rosenthal as Jason. The production closed on January 8, 2017, but two performances were filmed for a presentation on the PBS program Live from Lincoln Center series.